#TIGORStyleBack in the heart of New Delhi! The brand new, upcoming arrival of Tata Motors, after Tata Hexa & Tata Tiago, is the Tata Tigor. To be pronounced Tee-gor, I was one of the lucky few, to get the firsthand experience of the vehicle recently. 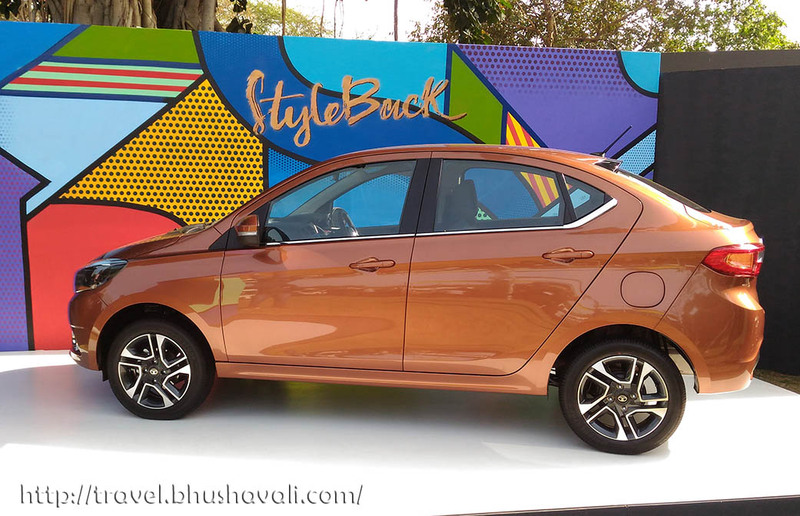 This is a simple, elegant car meant for the young Indian family, interested in Style along with Comfort, usually as an upgrade from the basic first car! 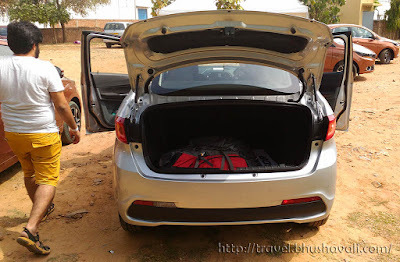 Read on to know more about my experience with new Tata Tigor. To begin with, this is a Sub-4 metre Compact Sedan. Going by the looks, the front pretty much looks like a Tiago and the major difference is beyond the B pillar (get it? ‘Style’ ‘Back’?). Third in line following the design philosophy of Tata Hexa and Tata Tiago is Tata Tigor. More than anything else, the boot is what totally took me aback. In the first look, I did not even get the way it functioned! Actually the hinges are on the side, making the space high and completely utilizable! There are several little features that makes its looks, great – 2 tone alloy wheel that’s first of its kind in this segment, the Sling Shot line on the sides, the front curvature whose continuation is visible through the head lamps etc. A small space that continues in front of bonnet makes the appearance it very sleek! Chrome detailing (Humanity line) at several places like below the front grill, window rim, above the headlights etc also added to a subtle elegance! The body colored side AC vents could be customized as well! I took a 104km ride from Andaz Delhi close to Indira Gandhi International Airport to Heritage Transport Museum and back both in Petrol and Diesel variants along with Hemal Shah and Dimpi Sanghvi in my car. Unfortunately, unlike the ride with Hexa where the route included Highway, village roads, dirt tracks and more, this route was almost completely highway, which made, trying it out in assorted terrains impossible! However I managed to put the vehicle in some strain, trying it out on high speed, speed bumps, potholes etc. Of the 2 variants I drove, the petrol variant definitely scored better than the diesel variant. The petrol version is powered by 1.2L Revotron 3-cylinder Petrol (MPFI) Aluminium Engine which displaces a maximum power & torque of 85ps and 114Nm. The diesel variant is powered by Revotorq 1.05L diesel engine which churns out a power output of 70ps/140Nm. Both come with the Multi-drive options of City and Eco modes. Both the variants, are transmitted through 5-speed MTS. The team at Tata Motors has acknowledged the need for AMT version which will be introduced later depending on market demand. Coming to my ride experience, we hit the road at 6:30AM on a Saturday morning (obviously to escape Delhi’s painful traffic). I managed to push the vehicle to deliver a 120kmph with the diesel variant and could feel the strain on the engine & the vibration on steering wheel. To test the brakes, while cruising at 100, I hit the break hard and brought down the speed to 80, and it took solid 3 secs! The gear shift is a bit notchy in the diesel version and got stuck more than a couple times during upshift. This issue was absent in petrol version. The petrol version feels more like a driver’s car as you feel more confident when behind the wheels. It feels more responsive, cornering is more precise, and the feedback from engine is great when you put gas on the pedal. The diesel vehicle, vibrates a lot in high speed and the acceleration lags a bit as well while this is absent in petrol. Both the versions really need some noise cancellation feature – the external noise is very much audible inside!! Staying true to its nature, the Eco mode lags a bit more than City mode while accelerating and I had to rely on shorter gear shifts to extract the maximum juice. The 170mm ground clearance makes the speedbumps an easier thing to deal with! While sitting in the rear seat, I felt that the suspension is on a softer side in the petrol version while is a wee bit stiffer in diesel. The back seat is more spacious coz of 2 factors – one, the width of the vehicle is more than the Tiago and there is no space between the body and the seat! The upholstery looks elegant made of fabric with dobby detailing. The AC is so powerful that it kept Delhi’s heat at bay! The back seat has a foldable centre armrest complete with storage slots (cup holders). Talking about the storage slots, this has a whopping 24(!!!!! ), including a hook near the co-passenger in front for bags, a clip on the windshield for gate passes, toll gate slips etc! Similar to this, there are quite a few factors that Tigor lends from Hexa, like illuminated cooled glove compartment, 8 speakers, voice command, split LED tail lamps, hexagonal grill design, touch screen infotainment by ConnectNext of Harman that also includes navigation by Navimaps, rear parking camera etc. ‘Impact Design’ here too!!! Some other factors include fully automatic climate control, full length LED high mounted stop lamp etc. The colors available incl Copper Dazzle, Platinum Silver, Pearlescent White, Espresso Brown, Berry Red. The top end variants alone have the rear parking camera which is OK, but it’s only these models that have the dual front airbags as well. As I said earlier in the Hexa post, as someone who is alive today coz of airbags, that’s where pinching for me! I feel it’s high time we make airbags mandatory for all manufacturers even for their basic models. My final take on Tata Tigor is that it is an excellent amalgamation of Style & Comfort! While you get to know the price when it is officially launched, people might purchase it even if it is priced slightly higher if there’s value for money. However, it’s an already flooded segment and given the track record of Tata Cars in non-commercial passenger vehicle (unlike Indica, Indigo) and their service, Tata Motors really has to price it competitively. We have to wait till 29th Mar and find that out! P.S.1: Though the post says the author is Bhushavali, this test drive was done and the complete input was given by Venkat! 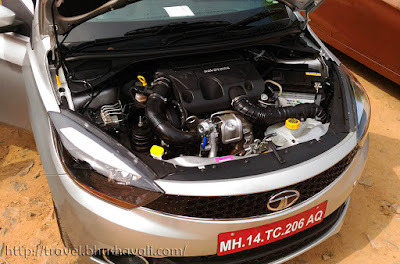 P.S.2: I was invited by Indiblogger on behalf of Tata Motors to experience Tata Tigor. 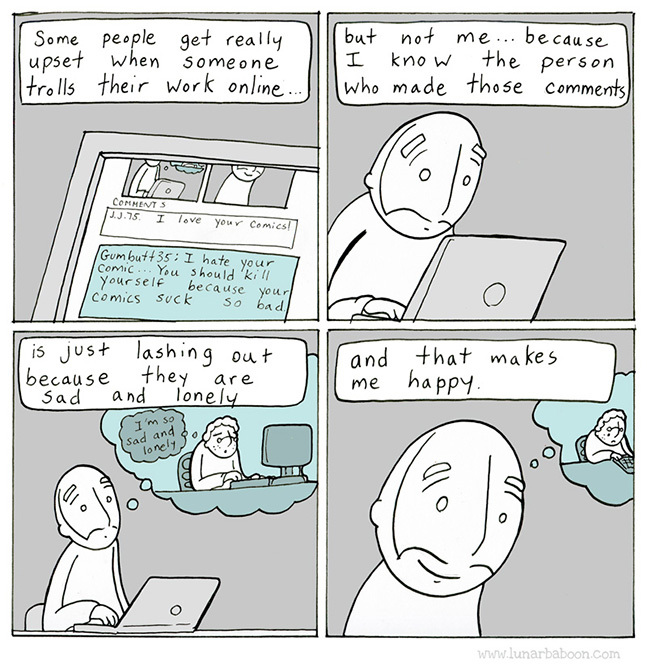 However the opinions are my own and this post does not to advertise the product/service. 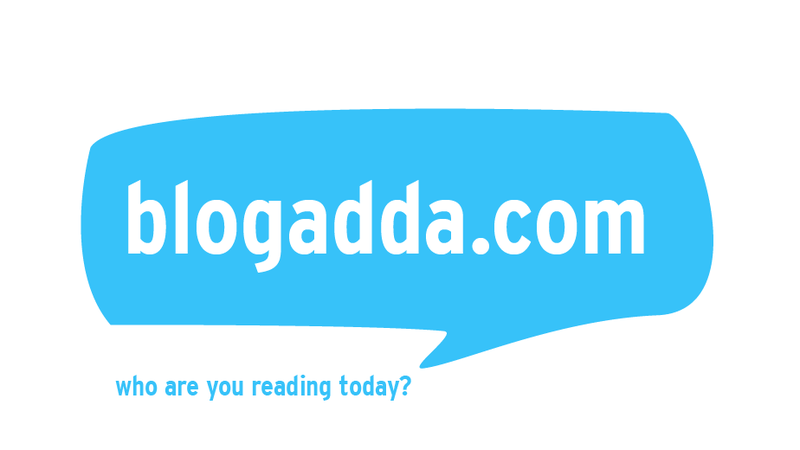 A very big thanks to Indiblogger for this wonderful opportunity. This sounds like the perfect car for a roadtrip in India! I haven't driven a Tata before, but I really like the interior, and the decent AC isn't to be ignored! This looks like a cool car. I love the shape of it. And AC is a must of course! Must be a great place to visit for auto fanatics! Sounds like a good ride to have if I could drive haha! I have been hearing a lot about Tata Tigor for the past few days. I have not tried it yet but seems like a good choice for long road trips.. This is a very informative article. You have included tons of key information that readers will use when choosing a vehicle. Thanks for sharing. India has definitely taken the lead in car production and design. I hope this would be available in this part of the world. I have been wondering about this car..aw it on the road a few times. A friend is in the process of shortlisting some cars. Now that I have a review at hand, will share it with her. I legitimately didn't know this car existed into about 4 minutes ago, so it was fun to learn about it. It's nice and compact, so I can imagine it's great for narrow streets and busy traffic! I loved the interiors of this, looks so organized. The boot space too is good. You wrote a very detailed review. I really like the car's appearance, and especially its color. Thanks for the information. 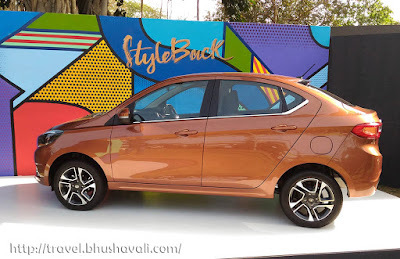 This is the first time I am reading about the Tata brand of cars and saw photos of their styles. I like the copper color of the sample car. I want my next car to have the same color. The Tigor looks compact but remains spacious. It would be great to have a road trip with it. This is not a familiar car brand for me since I am not into cars but I did some google search and found that this brand is available in my country. Interesting. Study photos of the Tigor and Tiago’s front ends and you’ll find only a few subtle differences. The Tigor’s headlights get a smoked-effect and also use projector lenses. New chrome lining for the lower portion of the glasshouse adds a bit of richness to the Tigor’s look. The car looks perfect for the Indian roads. Another amazing car from Tata motors! I have yet to learn driving so I won't be able to tell the difference or review the cars. But it's definitely something I wish to look forward to next time! I love both the design and color of the car featured. I was also impressed that hitting the brakes at 100 to slow down your speed to 80 occurred in 3 seconds. It's compact with lots of trunk (boot) space and that makes for great city and country driving. Very nice! I like the color and versatility of this car. The trunk is big and has a sleek design. It looks spacious too. This is a great car for young professionals or couples.